- This company offers custom fitted limbs, braces, post-mastectomy bras & breast forms, and dibaetic shoes. devices, hearing aids, keyboard alternatives, learning software, and vision aids. 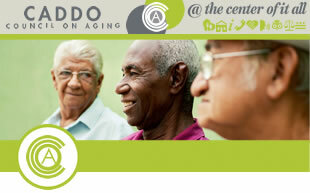 - Services Include Assistive Technology, Training and Technical Assistance, and Community Outreach. Saturday Club Program, Braille Rocks, and LCB Langiappe. blind persons from traditional custodial approaches to innovative and exciting ones which stress self-sufficiency and independence. Hours: Monday Thru Friday: 7:30 am - 4:00 pm. - The Visual Aids Store offers a wide range of assistive technology devices to put you back in touch with the world you once knew. consumers who can provide documentation of hearing loss, combined hearing and visual loss, or a speech impairment. - Products include Ottobock, Ossur and College Park. Collages, Resizing Pictures, Decorative Cuff Links, and Tie Pins. fabrication of a comfortable, custom orthosis or prosthesis crafted in our own laboratory. - Also Provides Orthotics, Cranial Helmets for Babies, Prosthetics, and Pedorthics.